Taste of the Wild Catering provides excellent service and quality culinary creations. 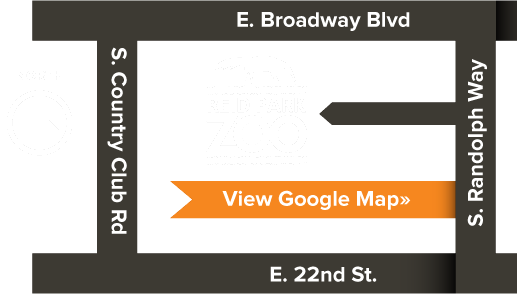 We engage our guests in a socially valuable experience through our partnership with Reid Park Zoo. Taste of the Wild Catering is committed to conducting our business in an environmentally responsible manner. It is our policy to champion & support the conservation efforts of Reid Park Zoo and educate guests, vendors & employees to continuously improve our environmental performance. Food & beverages cannot be removed from the premises by any party other than the catering department. Your catering agreement is based on the food served per the allotted event time. We charge per guest, not per tray or menu selection as we guarantee to not run out & will continue to replenish displays for a fresh look for each guest. You are purchasing the experience for your guests to enjoy the cuisine during the allotted event time. Prices listed are subject to proportionate changes in market conditions. Sales tax of (8.1%) and an event production fee of (20%) will be added to the food and beverage items (not rental fees). We must be notified of the exact number of guests attending the function at least five business days before the event. This is the official guaranteed number for which you will be billed, even if fewer guests attend. We will, however, provide food for 5% above this figure to allow for last minute additions. Any additional guests will be charged appropriately. Liquor, beer & wine may not be brought into Reid Park Zoo from outside sources & may not be removed from the site. PLEASE NOTE: Due to Health Department Regulations, food & beverages not consumed during the course of an event become the direct property of Taste of the Wild Catering. Our menus are provided as a guide to help you plan your event. We can customize menus to suit your needs & we will try to accommodate any special dietary requests. Our standard buffet & bar linens are elegant blacks, accentuated with animal prints. Custom colored linens to match your event’s color scheme or theme are available upon request.